Trello is an uncomplicated and intuitive tool for managing projects and tasks A Guide to Trello for Life and Project Management A Guide to Trello for Life and Project Management Trello can help you get organized. It's a free tool to manage any kind of project. Read this guide to understand its basic structure, the navigation, and how Trello can be useful to you. Read More . But what if it could get even easier? Butler for Trello is the answer. This new bot lets you automate Trello tasks. Using triggers and actions, you can automatically create lists, move cards, set due dates, add labels, and much more without lifting a finger. 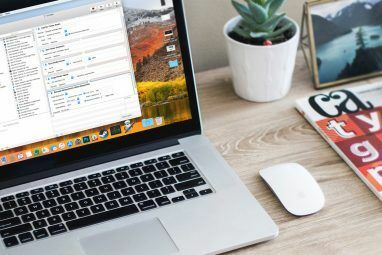 All you have to do is set up a command to take care of your Trello task — it’s basically set it and forget it An Effortless Way to Set Reminders With Trello An Effortless Way to Set Reminders With Trello There are many ways to set reminders these days, but if you use Trello on the regular, then this nifty card trick could be the most convenient option for you. Read More . You can create many commands for all sorts of tasks and it takes only minutes. The Big Plus: You do not need technical knowledge to create the commands. It understands plain English. Get started with Butler for Trello with this step by step guide. 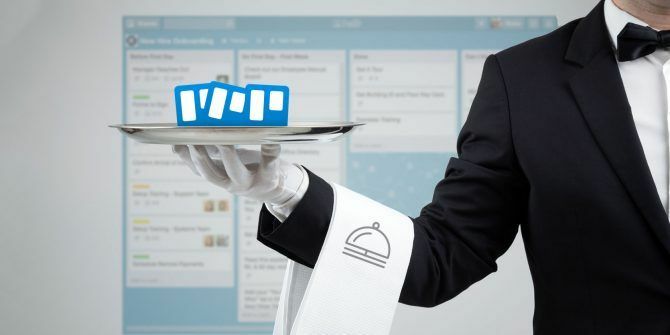 To begin your Butler for Trello experience, head to the website and choose your package. You can try it out for free with up to 250 operations per week. Then, check out the terms and conditions, link your Trello account by signing into it, and select your preferences. Once you have linked your Trello account, you will see your Butler dashboard. Make sure that you are on the Boards tab and select the ones you want Butler to access. You can select as many boards as you like. After you invite Butler to your boards, you will notice that a Butler list automatically shows up on the applicable boards. This is where you will add commands as cards. Each Butler list also includes an Instructions card to help you begin. This provides links to the Command Builder, Butler Dashboard, and support section. The easiest way to get started with commands is by using the Command Builder. With this robust tool, you will choose the triggers and subsequent actions. The trigger choices each offer a variety of options to make the first step in building your command simple. If you want to trigger an action on a regular schedule, then the Scheduled option is what you want. You can schedule an action for every day, each weekday, or a specific day. You can also schedule an action on a weekly, monthly, or yearly basis. With each option, you can set a specific time if needed. And, the flexible weekly and monthly options let you pick when to start. For example, you can have a trigger begin in one day, on the first of this month, or even the fourth Thursday of next month. For example, you can have a trigger begin in one day, on the first of this month, or even the fourth Thursday of next month. The Due Date set of triggers are based on the actual due dates of your cards and the options are extensive. These include when a card is opened or archived and overdue or due soon. Along with the flexibility of choosing triggers around a card’s due date, you can be as specific as needed regarding which cards should apply. For instance, your triggers can apply to cards in a certain list, on a specific board, with a particular label, or one that includes a username. When something is added or removed. When a due date is involved. When a card is moved, archived, added, or created and includes a specific member or yourself. When a label, attachment, vote, or user is added or removed. When a due date is added, removed, or marked complete. When a checklist or checklist item is added, removed, completed, starts with, ends with, or is converted to a card. When a certain user changes a card, is mentioned in a card, or adds a comment to a card. Now that you understand how triggers work, it is time to move onto the action options. This section is even more extensive than the triggers. The Card section includes eight subcategories to choose from that include things like add to, remove from, find, create, copy, set a due date, and subscribe. This allows you to set up actions such as add and remove stickers, copy the labels, or link two cards as attachments. Or you can be more detailed and create a new card with a certain title in a particular list on a specific board. The Cards area is a bit different than Card in that you can manipulate more than one card at a time. You can move or copy cards, sort them by label or due date, or archive all cards in a list. You can also apply actions to cards using labels such as archive all cards with a certain label. For checklist and checklist item actions, head to the Checklist section. Here, you can move, rename, convert, or reset checklists and items. When a trigger occurs you can rename a list item, move it to the top of the checklist, or convert it to a card. You can also remove completed items from a checklist or gather specific cards into a checklist. Don’t confuse the List section with Checklists. Lists hold your cards on a Board, whereas Checklists are within a card and include items to be marked using checkboxes. In the List area, you can create, rename, move, archive, or arrange lists on a board. You can also use actions that position a list in a certain spot on the board. This lets you create a new list with a specific name on the board you choose based on a trigger. The Misc area contains various actions that simply do not fit into another section. Most are repeating actions and based on another action. For instance, you can have a repeating action for each label on a card or board by using the label name and label color variables. The Command Builder is the easiest way to make sure that your commands are formatted properly. However, you can write your own commands if you like. Click Add a card within the Butler list of the board you want and type in your trigger and action. 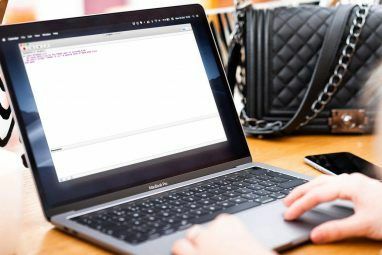 This might be a simpler way to go after you become familiar with how commands are written 11 Trello Tips and Workflow Features for Programmers 11 Trello Tips and Workflow Features for Programmers Do you use Trello for planning programming projects? The task management app can work wonders for your next coding challenge. We have some Trello tips to share. Read More . After adding the trigger and action to your command, scroll to the bottom of the Command Builder. You will see your command formatted as it needs to be for Butler to understand it. You can use the buttons in the editor to make adjustments like removing a trigger or adding another action. But you can also scroll back up and make your changes where you set up the command. When you are happy with your command, click the button to copy it to your clipboard. Then, pop back over to Trello and click Add a card to the Butler list in the board it applies to. Paste your command into the card and you are done. When you enter a command for Butler, by default you will see a checkbox sticker if Butler understands the command. You can also open the card and see the Butler Bot response as Understood in the Activity list. If there is a problem with your command, you will see the exclamation point sticker. Then, open the card and check out what Butler Bot found wrong with it in the Activity List. From there, you can edit it. You may not visit your Butler Dashboard often, but it is important to know that it is available. You can make preference adjustments, check your usage, and get help if necessary. Boards — Invite Butler to new or additional boards. Global Commands — View your commands or import them from an existing board. Usage — Check out your weekly usage and number of operations (important for free accounts). Preferences — Change the Chatty bot and sticker command options. Support — Get help from the support board, Slack, email, or Priority Support for paid accounts. Are You Ready to Call on the Butler? This excellent video from Think Creative Collective is another good intro walkthrough. You can also check out their official Trello board for more usage examples. As easy as Trello is to use, you have to admit that automation is awesome Manage Everything in Trello with These 10 Creative IFTTT Recipes Manage Everything in Trello with These 10 Creative IFTTT Recipes Read More . Butler for Trello is simple to use, helpful to have, and can definitely save you time 5 Productivity Tips Each Trello User Should Start Using 5 Productivity Tips Each Trello User Should Start Using Part of the reason why Trello is so great is that it has several productivity features built right into the platform. Here are some that will prove useful. Read More . You get plenty of operations with a free account. 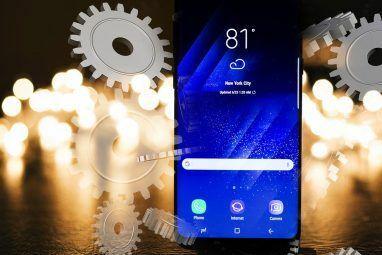 Try the paid plans if you are a heavy user or in a business team. Are you ready to call on Butler for Trello? Check it out and let us know what you think of it in the comments below! Explore more about: Computer Automation, Productivity, Trello.